Some researchers think that artificial sweeteners, most frequently consumed in diet drinks, may confuse the body. It may seem counterintuitive, but there’s a body of evidence to suggest that the millions of Americans with a diet soda habit may not be doing their waistlines — or their blood sugar — any favors. As the consumption of diet drinks made with artificial sweeteners continues to rise, researchers are beginning to make some uncomfortable associations with weight gain and other diseases. If you listen to my conversation on Here & Now, you’ll hear that there are two schools of thought here. 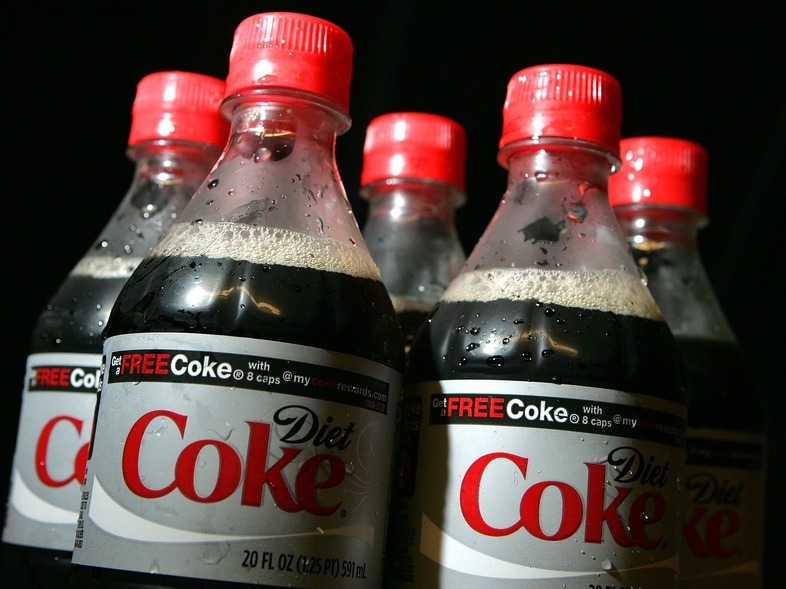 Not everyone is convinced that diet soda is so bad. So, what gives? How could consuming less sugar set the stage for more weight gain and an increased risk of disease? Well, since being overweight is a major contributor to the development of type 2 diabetes, it’s possible that some diet-soda drinkers suffer from a mindset problem: They justify eating lots of high-calorie foods because their drinks are calorie-free. It’s the “hey, I’ll go ahead and have those fries and a cheeseburger, since I’m having a Diet Coke” mentality. It’s also possible that something much more complicated and nuanced is happening in the bodies and brains of diet soda drinkers. One theory is that diet soda may throw off the metabolism by blunting the body’s responses to sugar. You see, from the moment sugar touches our lips, our bodies start to release hormones to begin processing the sugar. It’s part of a feedback loop that helps the body predict what’s coming. But if we develop a habit of consuming artificial sugar, our bodies may get confused. And it might not respond the same when we consume real sugar. “We may no longer release the hormones” needed to process sugar — or at least, not as much of them as before, Swithers told me during an interview. Now, Swithers says much more research is needed to nail down what’s happening when people consume artificial sweeteners. What is clear is that diet soda consumption continues to rise. Women tend to lead the way, and increasingly, children are popping open the calorie-free sodas that mom and dad are drinking. This entry was posted in Health and tagged Beverage, Diabete by admin. Bookmark the permalink.